We are a home grown business here at Farmhouse Enlightenment. Here we embody what thousands of pioneering cannabis farmers in California have been doing for many years. You will not find a new, impersonal, indoor mega cannabis factory here. Organic, local and sun grown is what is important to the health and future of our society and we incorporate that in our gardens and lives. Originally we focused on creating a comfortable home and garden but as laws are changing we want to open up this experience to others. We take pride in what we have to offer and want you to have the same experience, only better, with a fraction of the work! Our guests are kind, beautiful people and well behaved furry friends who respect others, their property, animals and nature. They have a genuine interest or want to educate themselves about cannabis and it’s healing benefits. They also have a need to unplug from all stress and surrender to the beauty and tranquility of what Farmhouse Enlightenment has to offer. 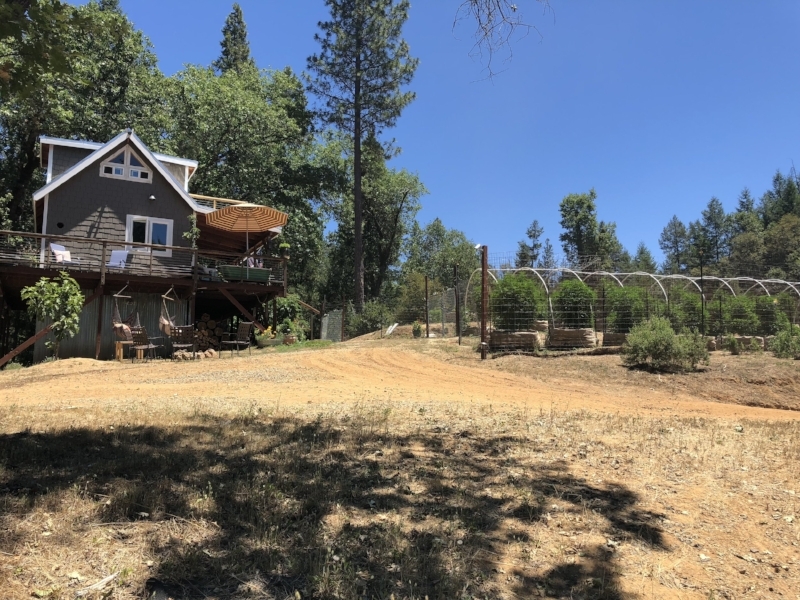 We are located off I-80 in the Sierra Foothills. Just two hours from San Francisco and one hour from Lake Tahoe.